This raw industrial space was converted in accordance with Dorel’s brand image, winning it an AIA award. 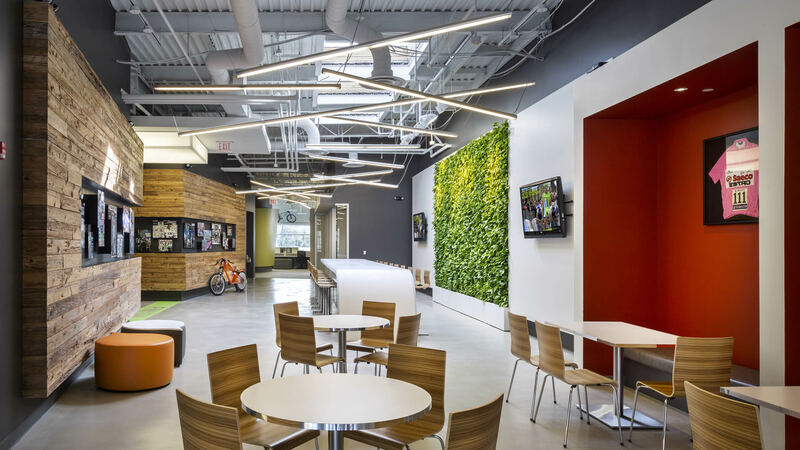 Natural materials, colorful forms, and reclaimed wood reflect the sporty and fun nature of the sports company. Skylights illuminate a large flourishing green wall of plants, flooding the big floor plate with lots of natural light.